Magisterial study of the left-wing of radical puritanism in England during the Civil War and the Commonwealth. Hill describes a period of intellectual and social ferment that gave rise to a huge range of radical sects, Levellers and True Levellers, Ranters, Diggers and Quakers, and which left its mark on great writers like John Bunyan and John Milton. 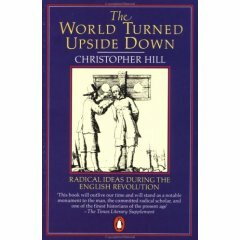 For Hill, these ideas represent the germ of a deeper social upheaval, 'the world turned upside down' within what ultimately became a bourgeois revolution. This Marxist reading has been subject to much criticism from later scholars, but this book remains a classic study of an inspirational period in English radical history.